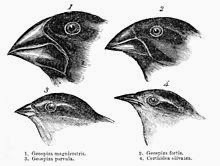 Since then, finches have always been the object of serious scientific study. For one thing, we watch how these little birds continue to develop. For another, only in part because of the role they play in understanding evolution, we want to preserve them from extinction. They are studied most in depth on Daphne Island as I discussed in my earlier post on that topic. 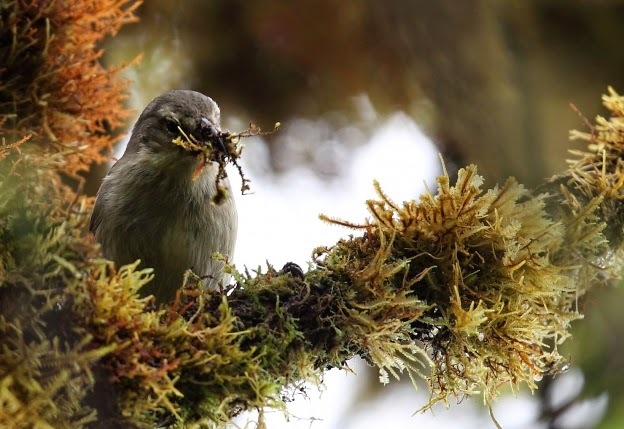 Recently, scientists discovered that the existence of some of our Galapagos finches (and even other examples of our Galapagos bird life) has been threatened by an invasive species of parasitic nest flies. They were unintentionally introduced and contaminated the islands in the late 1990's. They are an enormous threat because they infest bird nests and feast on the blood of mother and fledgling finches and other birds as well. 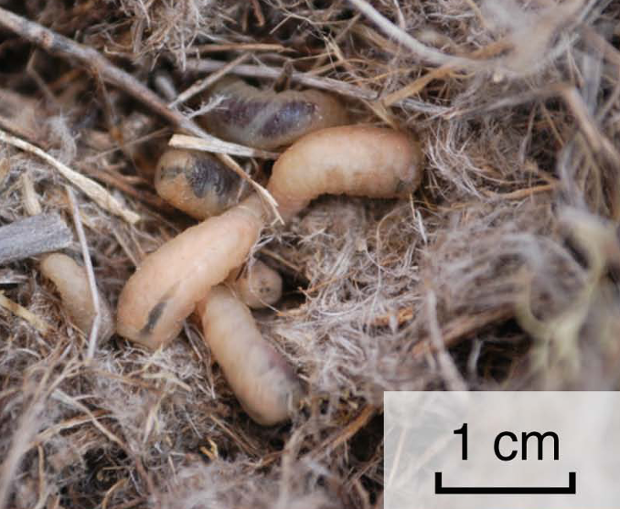 According to scientists, the maggots now infest all land birds here, including most of the 14 species of Darwin's finches, two of which are endangered. 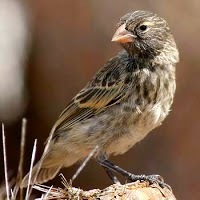 Fewer than 100 mangrove finches remain on Isabela Island, and only about 1,620 medium tree finches exist, all on Floreana Island. Recognizing that this situation poses a very serious threat to our ecosystem scientists have been struggling to find a way to eliminate the parasites and regenerate the finches. Those scientists have found a way to work with the birds and have them repopulate. 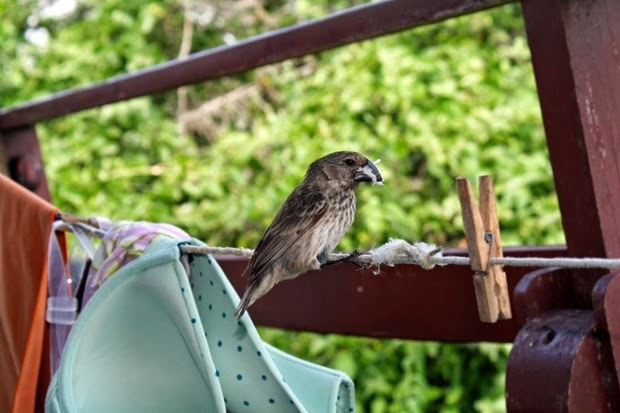 University of Utah biologists, examining the nesting behavior of finches, determined that the birds incorporate fibers, even man-made rope from laundry lines, into their nests. They asked what they could do to fiber that might encourage the finches to use it, while at the same time interfering with the parasites. Viola! They tried treating cotton balls with permethrin solution to see whether the birds would incorporate the pesticide into their nests. 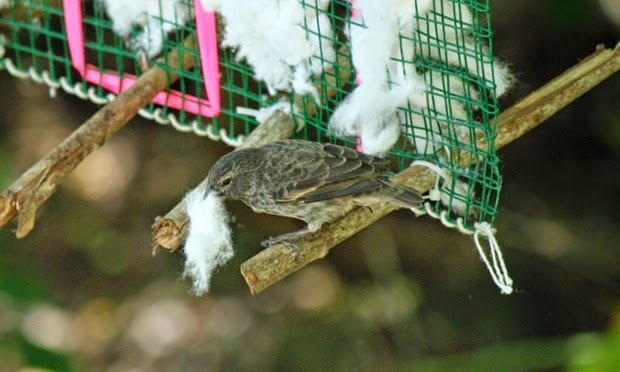 They built special enclosures for the treated cotton balls and gave access to the finches. The solution seems to work. 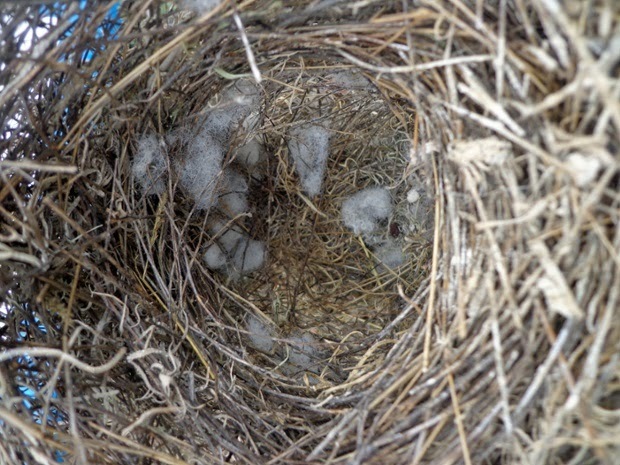 With no apparent negative impact on the finches or their babies, of the nests examined that contained at least one gram of the treated cotton, seven had no parasites and the eighth only had four. Though the experiment is just in its initial phases, it appears that this solution may have important implications for many of our Galapagos birds as well as for birds around the world. This information is controversial; I need to overthink it for some time. I like to work with information connected with evolution but I'm afraid I need to get academic help from some learning resource with this issue. I haven't faced such posts before.